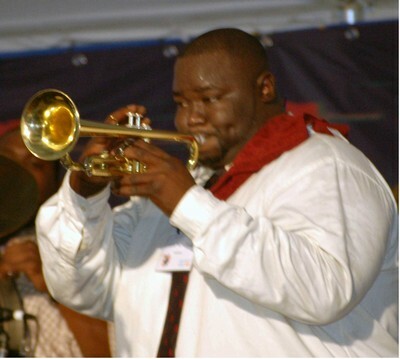 I had so much fun listening to the Hot 8 Brass Band, from New Orleans, when they played at the Smithsonian Folk Festival earlier this summer. They are hot! 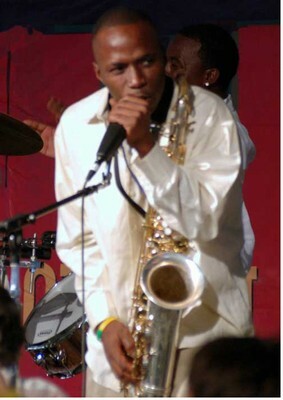 I heard them first onstage and later at a nighttime jam party. I got to listen to them, photograph them, and dance to their music twice. At the jam party, I even had a chance to talk to them. When I feel PO’d about doing volunteer work at the nighttime party, I just remind myself of these things. 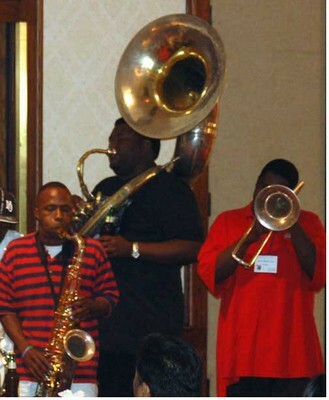 The sousaphone particularly interested me. 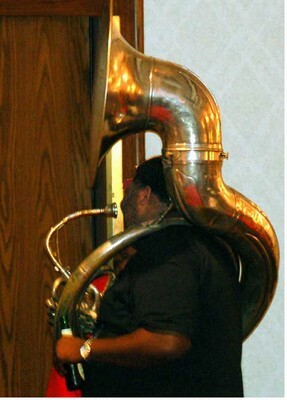 It is a huge instrument, exactly like the tuba except that its long tube is configured differently. 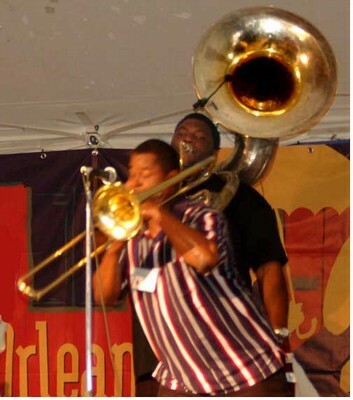 In the tuba, the tubing is coiled into a relatively compact shape, but in the sousaphone, the tubing wraps around the body of its player, giving the impression of a giant serpent ensnaring its human prey. It weighs about 40 lb, so the player must be sturdy, especially if he is marching while “wearing” it.